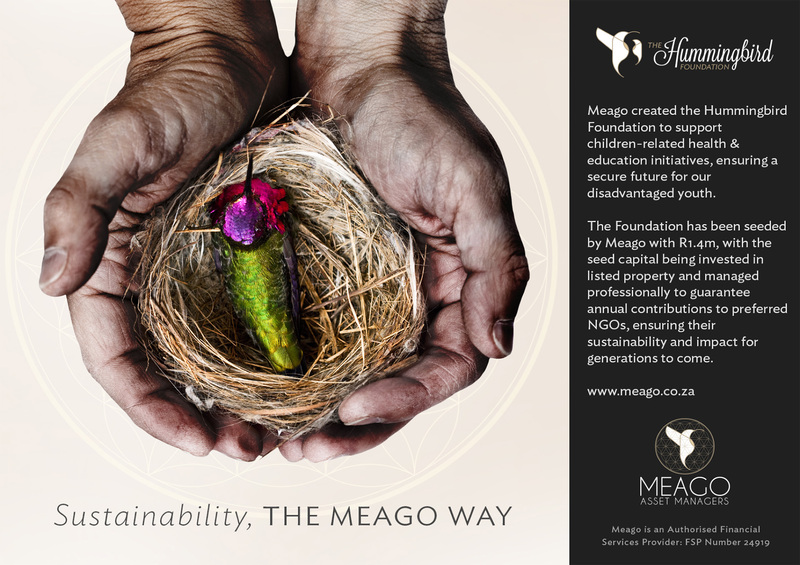 Meago launched the Hummingbird Foundation in 2014 to support children-related health & education initiatives, ensuring a secure future for our disadvantaged youth. We have seeded the Foundation and the money is professionally managed by the award-winning Meago Fund Management (with no admin costs charged) in a portfolio of listed property instruments. Our investment strategy is to provides, on average, a yield of 8% per annum. Distributions arising from Fund are declared annually, and these monies will allocated to a select group of NGOs whom provide annual updates on projects requiring funding. This select group of NGOs have been considered with defined criteria, including their track record of delivery, mandate within education and health initiatives, corporate governance and administration structures. In addition, Meago contribute 1% of NPAT towards the Foundation exceeding requirement of the BBBEE Act. A first distribution of R100,000 was made in Q4 2015 and the next distribution is expected at the end of 2016.